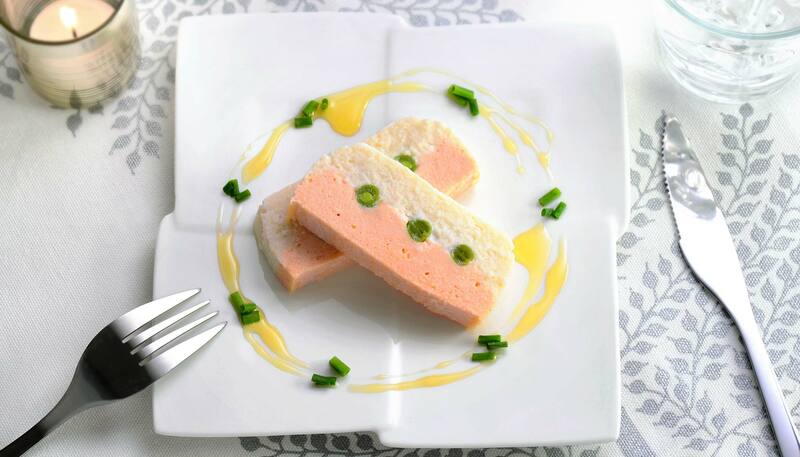 This recipe makes a two-layered fish terrine. Master this recipe and design your own by rearranging and adding colorful ingredients. It'll make a lovely dish to take to a party! You will need a 16 oz. 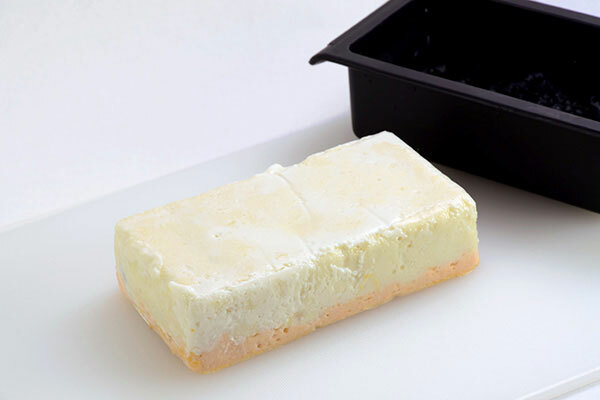 terrine mold (L7.5" x W4" x H2" in this recipe). This recipe can also be made using a 1-lb. 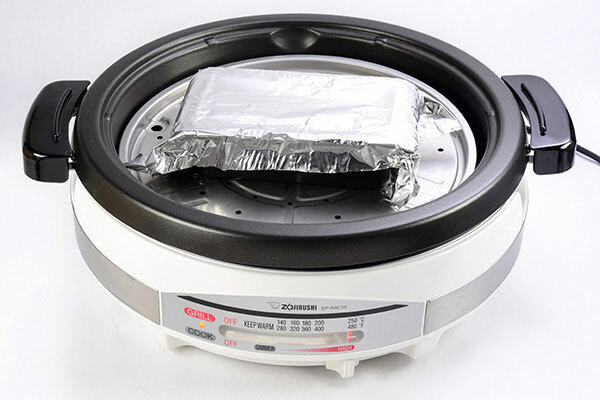 loaf pan (L8" x W4.5 x H2.5"). When using a 1-lb. loaf pan, double the amount of ingredients. Line bottom of the mold with parchment paper. 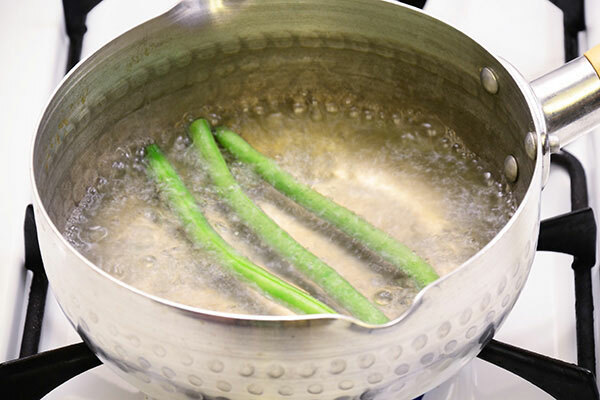 Blanch green beans in salted water (not in ingredients) for 3 minutes. Set aside. 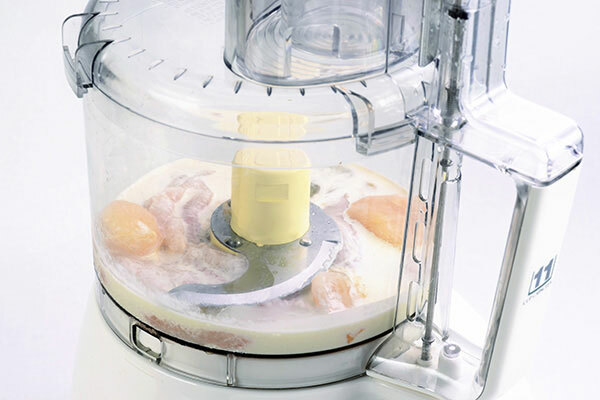 In a food processer or a blender, add ingredients for the white fish fillet mixture and purée until smooth. 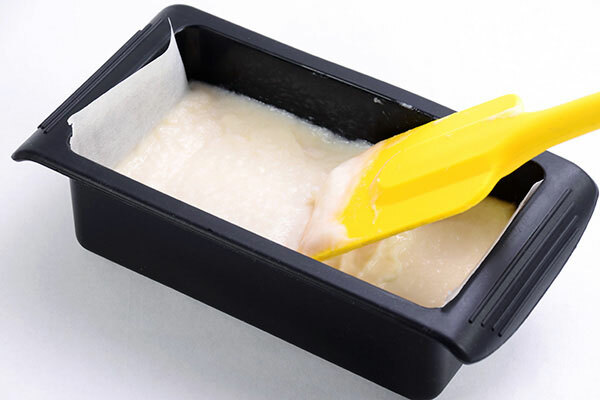 Pour the mixture into the terrine mold and make surface even with a rubber spatula. 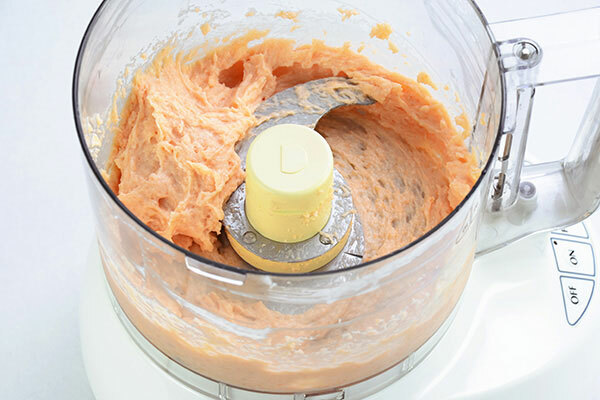 Repeat step 3 with the salmon fillet mixture. 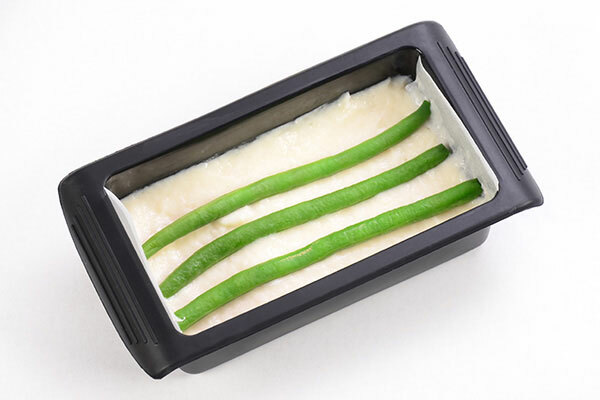 Arrange green beans on top of the white fish mixture in the mold. 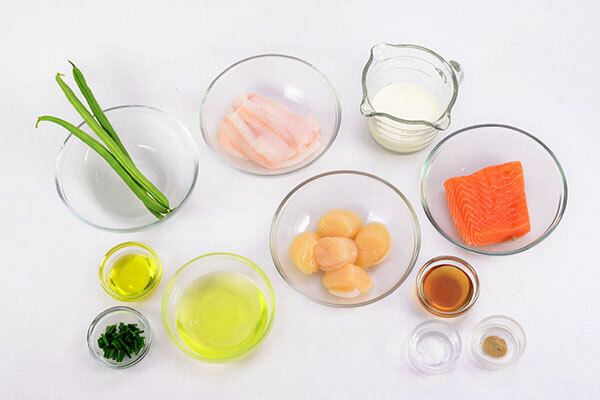 Pour salmon mixture over the white fish mixture and make surface even using the rubber spatula. Cover the mold with aluminum foil. 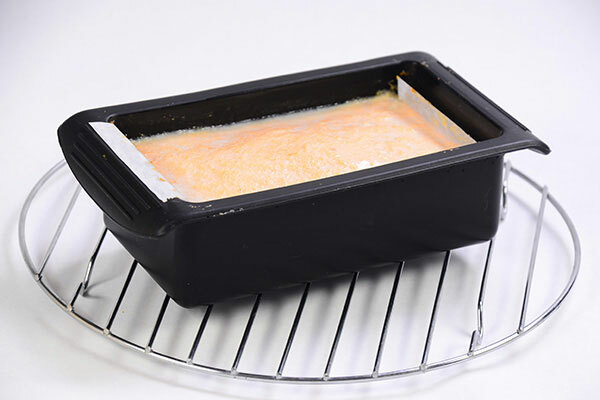 If using the terrine mold, add 6 cups of water to the deep pan of your Gourmet d'Expert® Electric Skillet (EP-RAC50), and place the steaming plate inside with its legs at the HIGH position. If using the 1-lb. 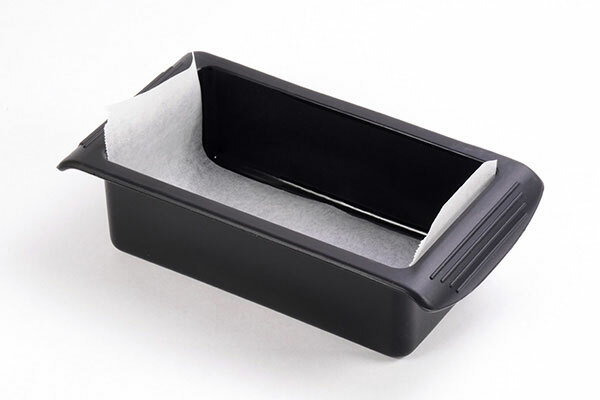 loaf pan, add 3 cups of water to the deep pan of your Gourmet d'Expert® Electric Skillet (EP-RAC50), and place the steaming plate inside with its legs at the LOW position. Place the mold on the steaming plate. Cover the lid and turn the control lever to HIGH. 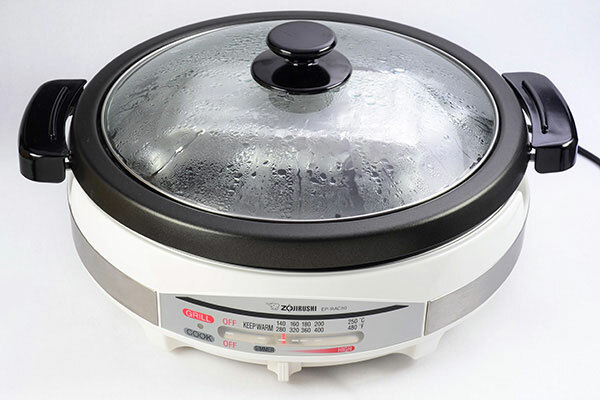 Once it reaches a boil (or when steam begins to rise from the gap between the pan and the lid), turn heat down to SIMMER. 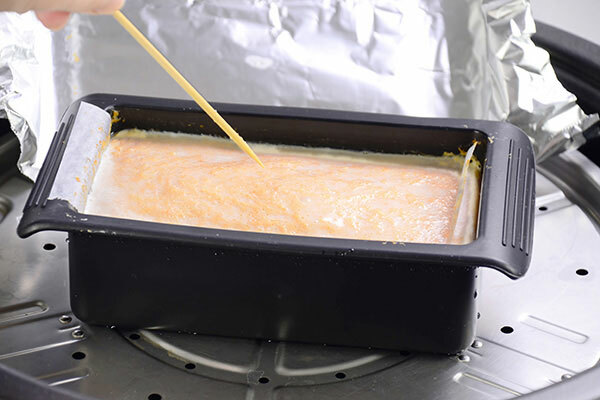 For terrine mold, cook for 20 minutes. For 1-lb. loaf pan, cook for 25 minutes. Check the doneness by inserting a skewer. If it does not come out clean, continue to cook 5 more minutes and check again. Add more water if the water level is low. When it is cooked through, remove mold from the skillet and let it cool on a rack. Then place in the fridge and chill overnight. 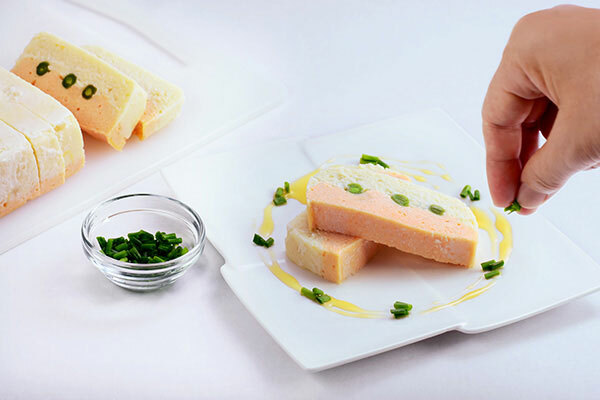 Remove the terrine from the fridge 30 minutes before serving so that it isn't too cold. Gently un-mold terrine onto a cutting board. Slice and plate with garnish and serve. Enjoy!